4 Facts to Know About Drain Cleaning | Ken Neyer Plumbing, Inc. However, drain cleaning is not only for emergencies. We strongly recommend you schedule drain cleaning with us each year. This helps drain performance and eliminates the build-up that will eventually cause clogs. Our professionals will also take a closer look at the drains to spot where you may need repairs. It’s an excellent preventive service that will keep your plumbing in the best of health. Commercially available drain cleaners are advertised heavily on television and the internet, so we understand why homeowners often think they’re the answer to drain cleaning issues. But no professional plumber uses these chemicals or recommends anyone else use them. 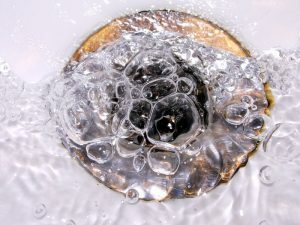 They can temporarily unclog a drain, but they don’t remove the build-up—i.e. they don’t clean much at all, and the clogs will soon come back. There’s a bigger problem with chemical drain “cleaners”: they damage the drainpipe material. The acidic action can eat through plastic and create corrosion in metal. The chemicals are also highly poisonous and end up in landfills. Please leave these chemicals on the store shelf! Aside from the plunger, there’s another tool that’s helpful for simple clogs: the drain snake, aka the drain auger. A simple hand-cranked drain snake inserted into a drain can often clear out obstructions. But professional plumbers have motorized drain snakes capable of getting through the most obstinate clogs. These drain snakes are expensive professional tools, and you only want experts using them on your drains. Our plumbers use drain snakes when they think they’re the best approach to cleaning out clogs. But when it comes to comprehensive preventive drain cleaning, we use hydro-jetting equipment. Hydro-jetters scour the inside of drainpipes with powerful blasts of high-pressure water. It’s safe for the drains and leaves them free of build-up and debris—a “like new” condition. Hydro-jetting is what makes professional drain cleaning so … professional! Schedule quality drain cleaning this fall. Ken Neyer Plumbing, Inc. has served the Greater Cincinnati and surrounding Tri State area since 1972.